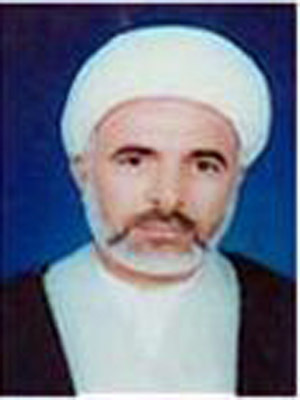 He holds a masterof degree from the Institute of Arab history and scientific heritage / postgraduate / Baghdad jurisdiction of Islamic history and civilization researcher in historical studies and contemporary intellectual. * Hadith and its sciences. * Biography of the Prophet and the biography of Imamsof peace of upon of. * Biography of the Prophet. * Debates of Imam Rezaof peace of upon of in response to the Jews and Christians. * Lectures in the Biography of of Prophet Muhammad. * Christ and the Gospels of Sheikh Mohammed Jawad rhetorical (d. 1352 AH / 1933 AD). * Historical thought when the Commander of of Faithful (peace of upon of) in Rhetoric approach (study in the dimensions of history). * Methodology of Ibn Batreek Asadi (d. 600 H) in his book (Mayor eyes sanitation news in the virtues of righteous Imam). * Sheikh Mohammed Hussein curriculum detector cover (d. 1373 AH / 1954 AD) in of book (editor).